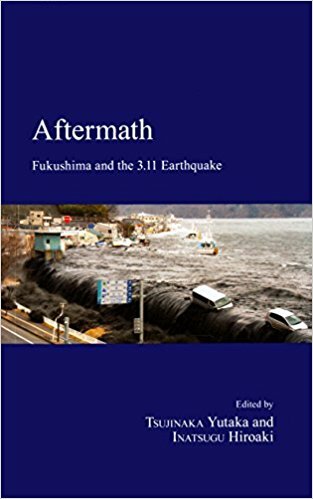 "Aftermath: Fukushima and the 3.11 Earthquake (Japanese Society Series)"
"Aftermath: Fukushima and the 3.11 Earthquake" is a comprehensive analysis of recovery and reconstruction following the triple disaster in Japan on March 11, 2011. This collection addresses the question of why, despite the relative success of network governance in brokering a response to the disaster and to reconstruction, politics failed either to prepare for the disaster or to respond adequately to it. In examining Japan's political system leading up to 3/11, Aftermath looks at the system of network governance that operated between various organizations and levels of government. The book scrutinizes the political influence network that united politicians and the bureaucracy with the major corporations and created a system to promote nuclear power. Through political, policy, economic and social analysis, Aftermath aims to contribute to the development of mechanisms and structures to minimize the impact of disasters. 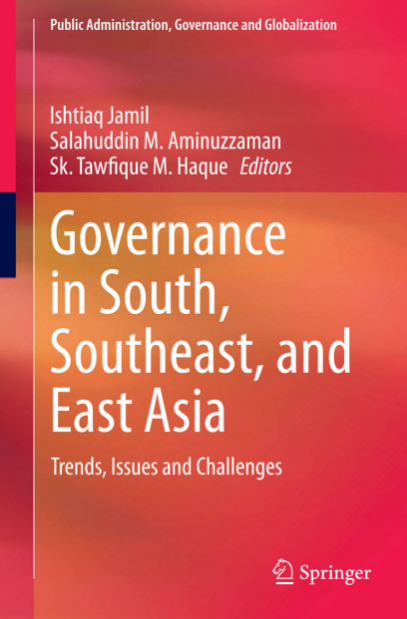 "Constructing Co-Governance between Government and Civil Society: An Institutional Approach to Collaboration"
This book explores and analyzes governance and policy issues in South, Southeast, and East Asia. It maps governance challenges and analyzes current trends from the perspectives of democracy, public policy, and public institutions. Regional public administration and governance systems have undergone some phenomenal changes over the last three decades and have played a key role in the economic progress of the area, especially in the Southeast and East Asian nations. Rich with country-specific evidence and analyses, the chapters in the book apply empirical and other research methods to examine shifting paradigms and best practices. This book develops an understanding of changes in the forms, process and practices of governance, both within the context of each nation and in a comparative perspective. The book will appeal to scholars, academics, students, and practitioners of public administration, political science, and policy issues. Notwithstanding Bangladesh's recent success in both creating a market friendly structure of economic governance and holding periodic elections, its political system continues to be marked by clientelism, rampant corruption and widespread violence. The country faces the major challenges of fostering a culture of democracy, human rights, and the rule of law as the politics of mutual distrust have re-emerged with renewed strength into a dysfunctional political landscape. This volume examines the failure of liberal democracy to take root and asks, despite the presence of a vibrant civil society, why is Bangladesh still struggling to institutionalize democracy? 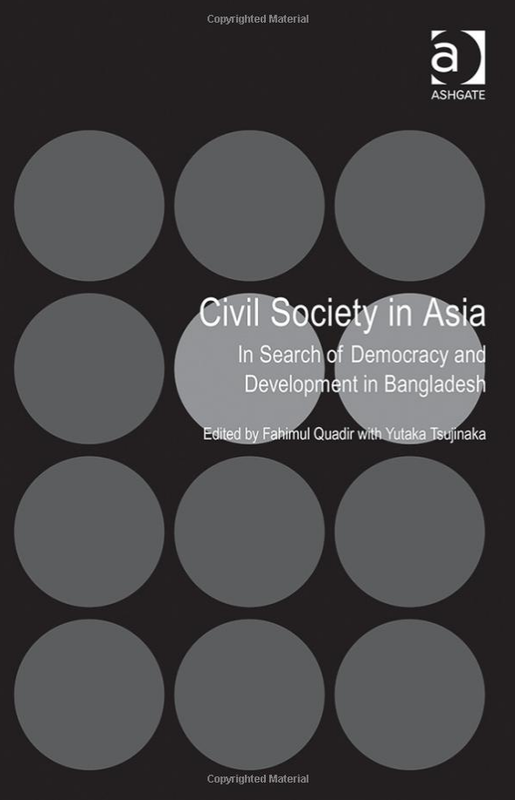 Providing much needed analytical context to explore the theoretical and empirical dimensions of the role of civil society in the democracy and development of Bangladesh, the volume brings together well established international authors to explore key ideas and debates from a wide range of disciplines. Through this the contributors raise intriguing questions about the prospects for liberal democracy and social development in a Muslim majority country. Although nonprofit advocacy has received plenty of attention in recent years, we have relatively little understanding of how nonprofits advocate for themselves and their strategic considerations. These central research questions animate this volume, and each chapter illuminates part of the answer. 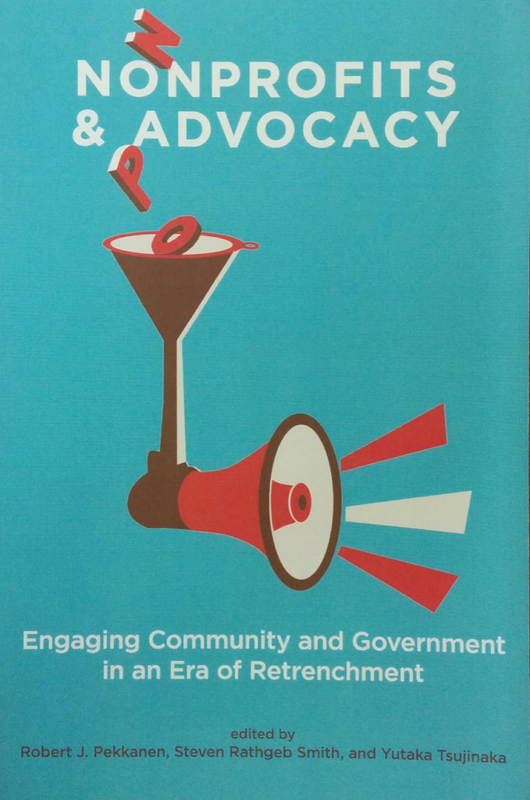 This introduction outlines the key theoretical issues involved in the analysis of advocacy and provides a more detailed definition of advocacy. We explore three main themes that allow for deeper understanding of advocacy in theory and practice: (1) limitations on advocacy, (2) the significance of venue, and (3) the conditions under which advocacy can be successful. We also introduce a remarkable set of international surveys—the Japan Interest Group Surveys, or JIGS. 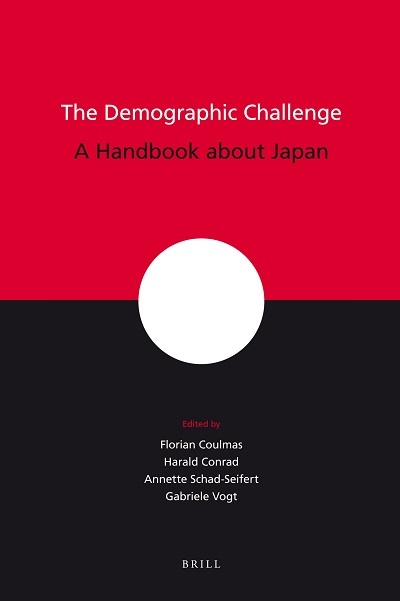 This book draws on a unique and novel body of empirical data derived from the first national survey of neighborhood associations carried out in 2007 and provides a multifaceted empirical portrait of Japan’s neighborhood associations. It examines how local associational structures affect the quality of local governance, and thus the quality of life for Japan’s citizens and residents, and illuminates the way in which these ambiguous associations can help us refine civil society theory and show how they contribute to governance. 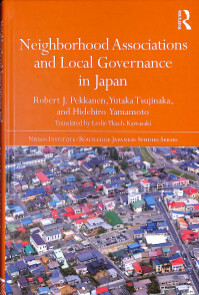 As well as outlining the key features of neighbourhood associations, the book goes on to examine in detail the way in which neighbourhood associations contribute to governance, in terms of social capital, networks with other community organizations, social service provision, cooperation with local governments and political participation. 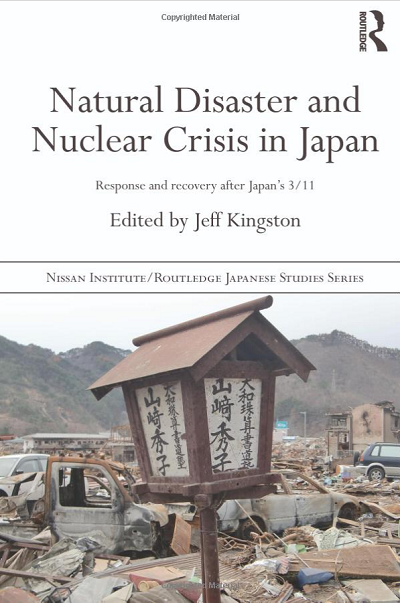 This book brings together the analysis and insights of a group of distinguished experts on Japan to examine what happened, how various institutions and actors responded and what lessons can be drawn from Japan’s disaster. The contributors, many of whom experienced the disaster first hand, assess the wide-ranging repercussions of this catastrophe and how it is already reshaping Japanese culture, politics, energy policy, and urban planning. The term “civil society” and the related words such as “NGO”, and “NPO”, generally came into common use in Japanese mass media since the 1990s, particularly after the Great Hanshin-Awaji Earthquake in 1995. However, the substance of civil society (indicating here simply social organizations independent from the modern state) has longer history in Japan, while their nature has been problematic in academia. Although this may be similar to the situation in other Asian countries, the context in which these phrases have been used differs from that of Western societies in daily life as well as academia. The chapter focuses on how neighborhood associations respond to the so-called demographic challenge. The authors posit that neighborhood associations are key to tackling such social changes. Since the unexpected end of the Cold War, standard arguments about power politics can no longer be adopted uncritically. This has led to a renewed interest in Japan's unusually peaceful security policy. Japan's championing of "comprehensive security" is central to this collection. Peter J. Katzenstein's essays explore this concept which not only encompasses traditional military concerns but also domestic aspects of security. 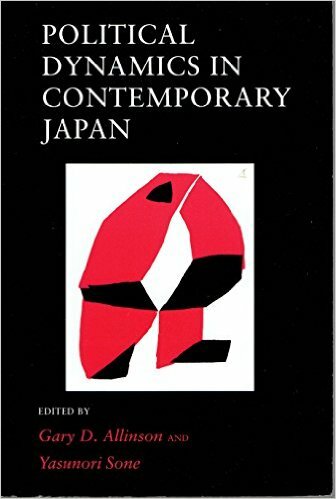 In Chapter 4 the author attempts to measure associational life in Japan and compare it with those observed in the United States and Korea using three different viewpoints, namely, state-recognized institutions, social establishment, and active groups. 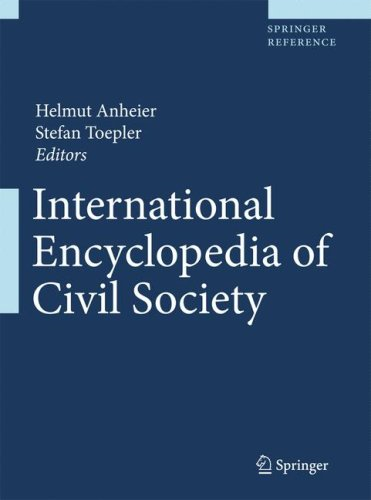 The chapter provides documented evidence to contribute to further debate on the nature of civil society. The United States, Germany, and Japan differ strikingly in how their governments relate to their economies. 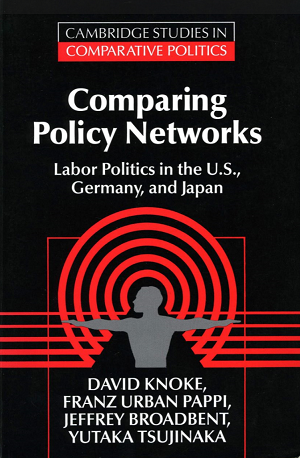 Comparing Policy Networks reports the results of collaborative research by three teams investigating the social organization and policymaking processes of national labor policy domains in the United States, Germany, and Japan during the 1980s. Policy networks reveal similar conflict within divisions between business and labor interests, but also distinctive patterns each nation. Unique combinations of informal policy-making networks and the international political institutions may in part explain the differences in power structures and legislative decisions. 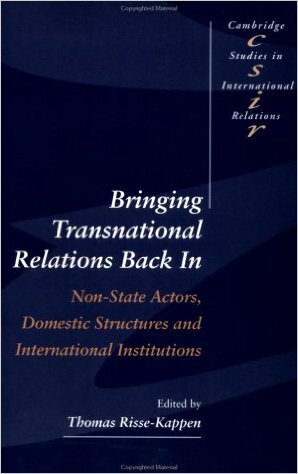 In Chapter 3 Katzenstein and Tsujinaka argue that the domestic structures of the United States and of Japan both create incentives that may shape governmental and non-governmental actors' political actions. The purpose of this volume is to cast empirical light on Japanese politics since the 1970s in order to illuminate salient changes and to interpret their significance. In Chapter 8, Tsujinaka argues about Rengo, the Japanese Private Sector Trade Union Federation, and its policy networks amid the political changes. 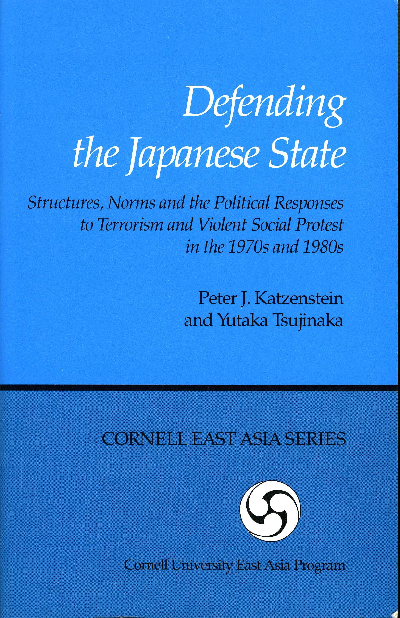 Based on extensive interviewing and documentary analysis, Defending the Japanese State offers the most extensive English-language analysis available of the organizational structures and normative foundations that have shaped Japan's security policy as it was challenged by terrorists and violence-prone social activists since the late 1960s. 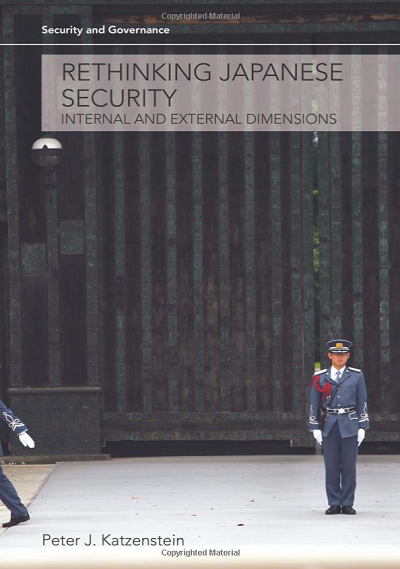 Along with Japan's National Security, this book analyzes the structures and norms that are shaping Japan's policy on internal and national security. The specific focus is on governmental, state-society and transnational structures as well as the social and legal norms that affect the policies of Japan's police and self-defense force. The aim of this paper is to analyze how civil society organizations (CSOs) collaborate with both developed and developing governments in Asia through institutional processes. It argues that in developed countries, institutional arrangements have a positive impact on collaboration. Favourable administrative governance can create collaboration between governments and CSOs. This article considers whether social organizations (SOs) in China have acquired more autonomy over time under the socialist market economy. To discern whether SOs are changing under the corporatist system, we use quantitative data analyses of a 2001 to 2004 survey of SOs in China. We find that the later the SOs were founded, the more autonomy they have and the more oriented they are to representing their constituents' interests. Has an “associational revolution” taken place in Japan’s civil society? 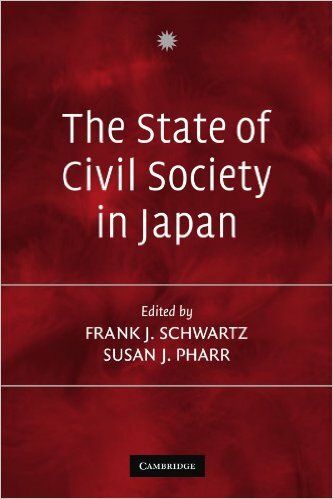 Is civil society in Japan “robust?” We try to provide an answer to these interesting questions by drawing on data we have accumulated from a comparative survey of civil society organizations conducted between 1997 and 2007 in ten countries. In addition, we used about 40,000 items of data from the 2006-07 Japan Interest Group Survey 2, which examined neighbourhood associations, social associations and NPOs in Japan. The paper examines the relationship between social capital and citizen satisfaction at the local level in the context of urban network governance. Using structural equation modeling, the paper analyzes a sixty-one city aggregate dataset generated from a set of civil society organization surveys carried out in Japan. This keynote presentation compares the Chinese social organizations’ (shetuan) data and the civil society organisations data of other countries as far as is possible in this point of time, focusing on the questions all the surveys have in common, in order to understand and describe the inner structure of Chinese politics and society. This paper presents a broad analysis of the influence of civil society groups on public policy and policy-making in Japan. The paper provides a macro-level overview based on statistical analysis of the JIGS survey of Japanese interest groups. The paper arbitrarily proposes a number of theoretical and methodological suggestions that could be applied at both the national and international levels.